Ramen is a Korean and Japanese noodle soup dish. You use a broth as a base and flavour it with soy sauce or miso. We love eating noodle soup and this is an easy soup to make, but it tastes delicious and it’s the perfect soup to make now that autumn is upon us. Mix the salt and the warm water, and gradually add it to the flour in a mixing bowl. 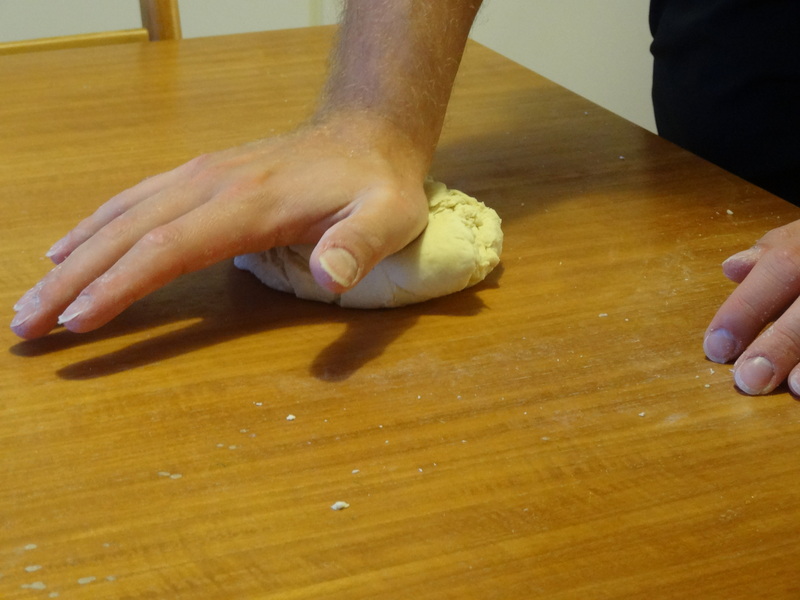 Knead the dough for at least 10 min until smooth and elastic. You might need to add extra water. Put it in clingfilm to rest for 30 min or longer. Cut the tofu in smaller pieces. Fry them in sesame oil until golden and crispy. Prepare the soup. 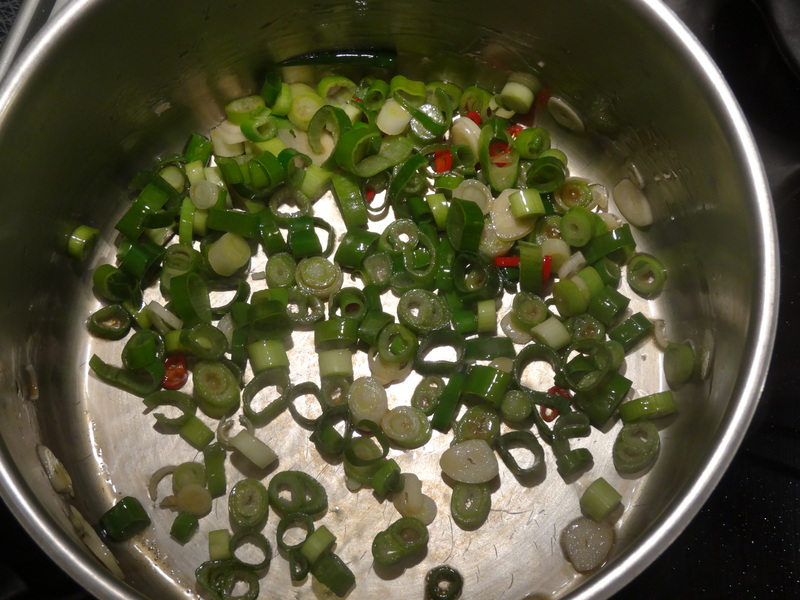 Chop the chili, garlic and spring onions. Fry them in sesame oil in a deep saucepan for 5 mins. Add the vegetable stock and the soy sauce and let it simmer while you roll out the noodles. Cut the dough in 2 pieces. Sprinkle flour on a wooden surface. 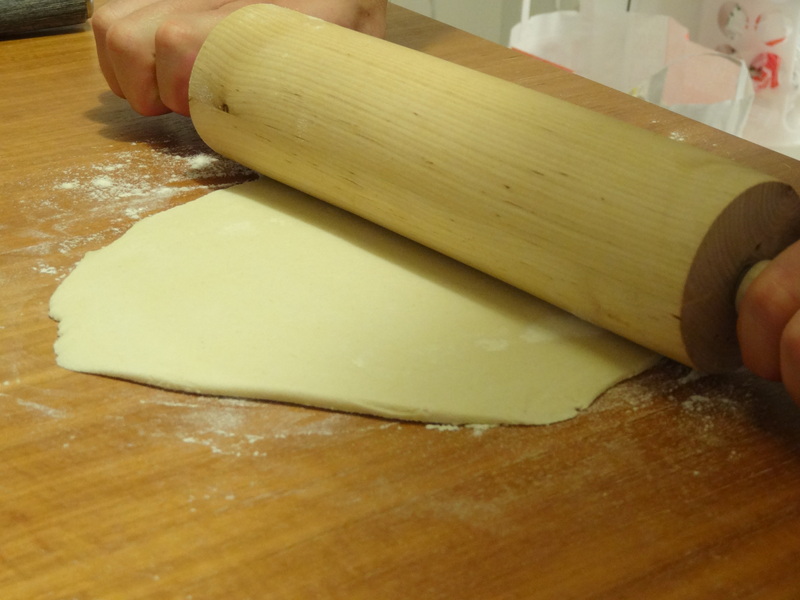 Roll out one piece using a rolling pin until the dough is 2-3 mm thick. 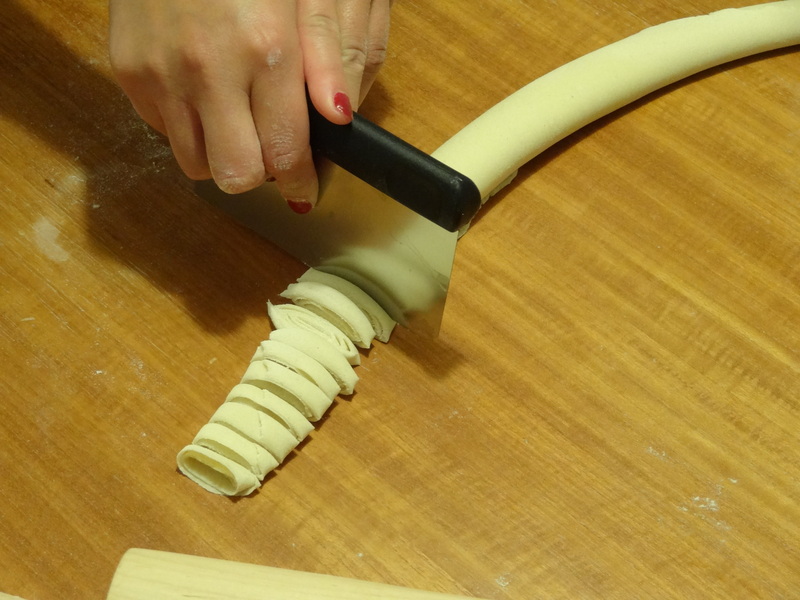 Roll the dough to form a tube. Use a sharp tool to cut the tube into strips, 5 mm wide. Roll out the strips and put the noodles in a bowl. Sprinkle some corn flour on top and mix to keep the noodles from sticking together. Repeat with the other piece of dough. 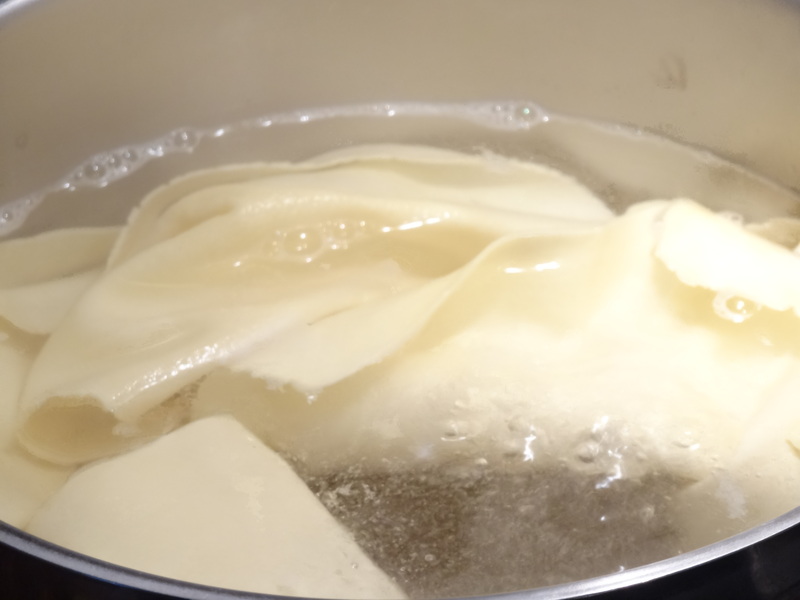 You need to cook the noodles right away to keep them from becoming dry. Cook the noodles in salted water in a large saucepan for 3 min. 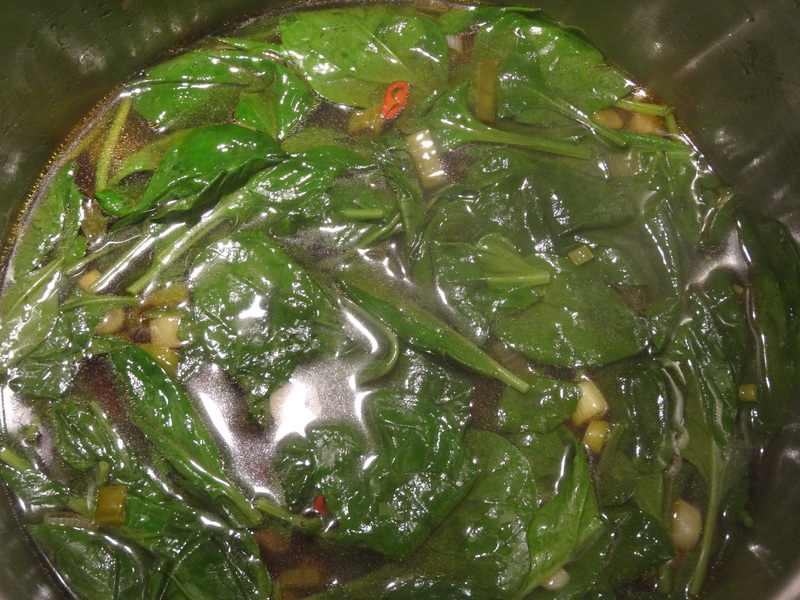 Add the spinach to your soup and turn off the heat. Strain the noodles and serve them in a bowl. Pour some of the soup on top of the noodles. 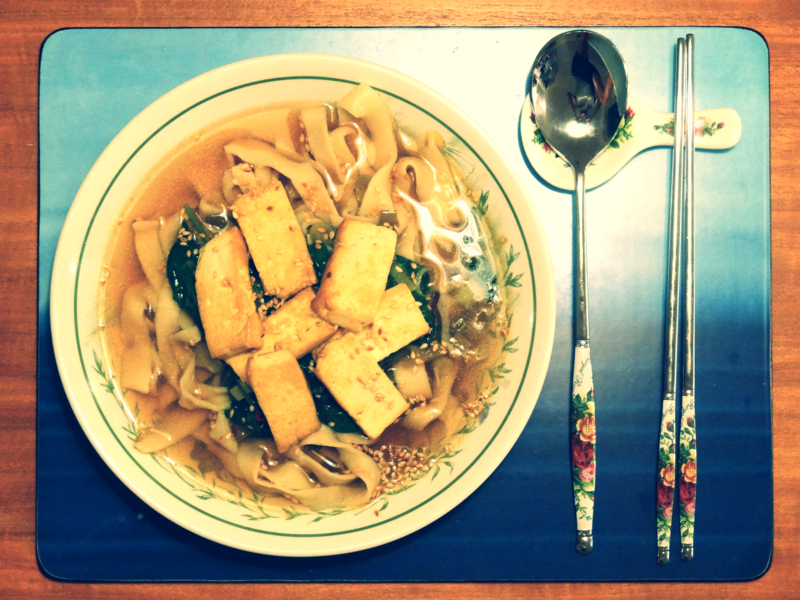 Add some fried pieces of tofu on top and sprinkle some sesame seeds over the soup. 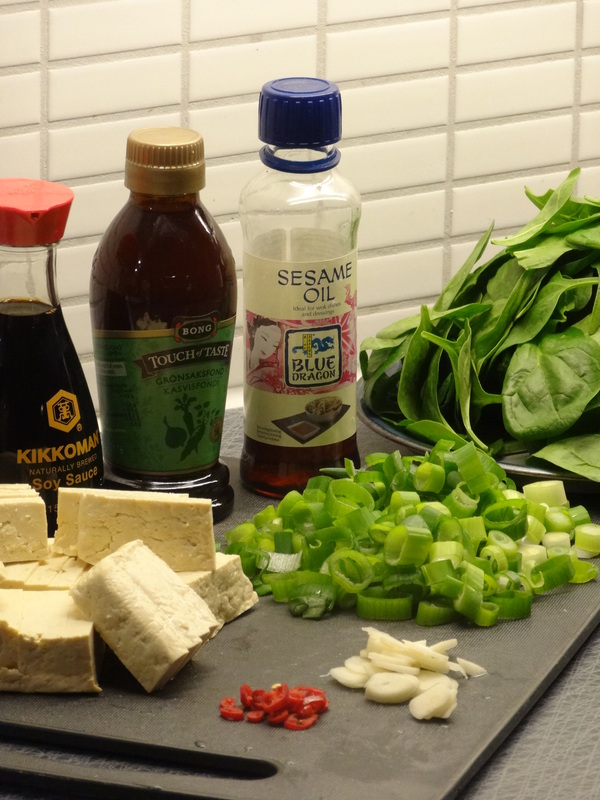 This entry was posted in Dinner and tagged asian, dinner, noodles, ramen, soup, spinach, tofu, vegan, vegetarian on 2014-09-29 by activebeans. A filling pasta dish with lots of flavour and no need to add any sauce. 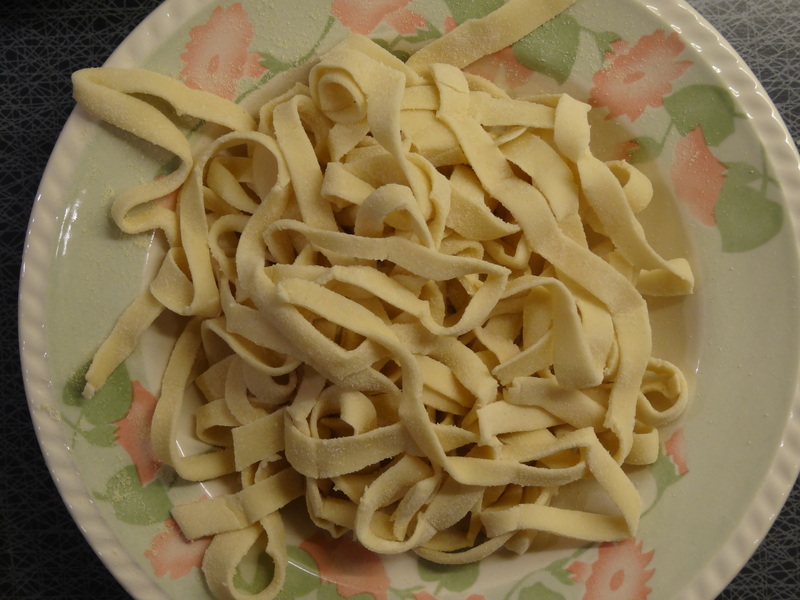 Make your own pasta, see the steps here. Snap the asparagus where the white part transitions to green. Chop the asparagus finely, and then fry it in butter over a high heat until soft. 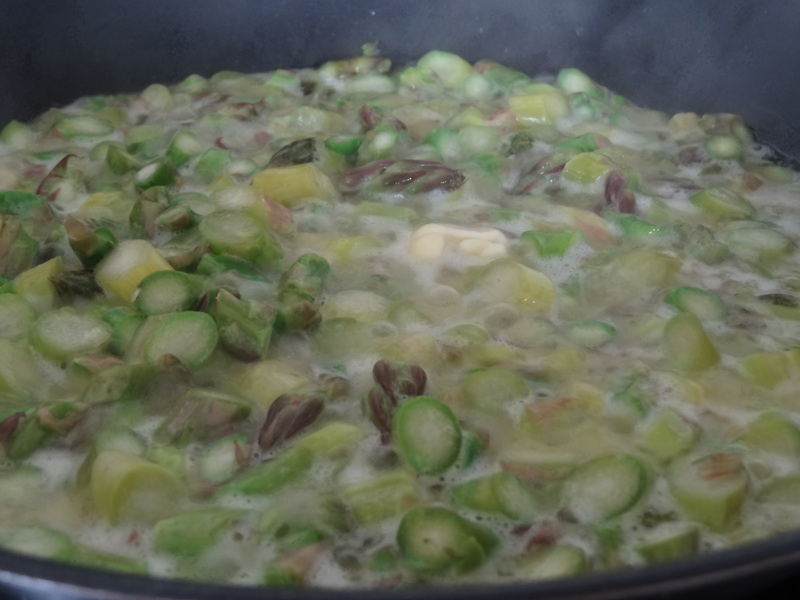 Put the asparagus, parmesan, bread crumbs, egg yolk, and ricotta into a food processor and mix until smooth, yet firm. Add salt and pepper to suit. 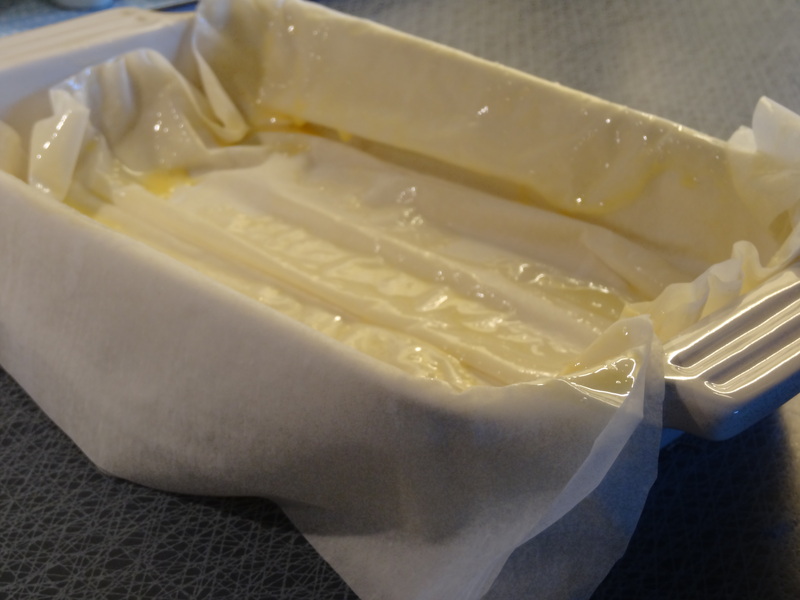 Put the mixture in a bowl, wrap with clingfilm and let it cool in the fridge. 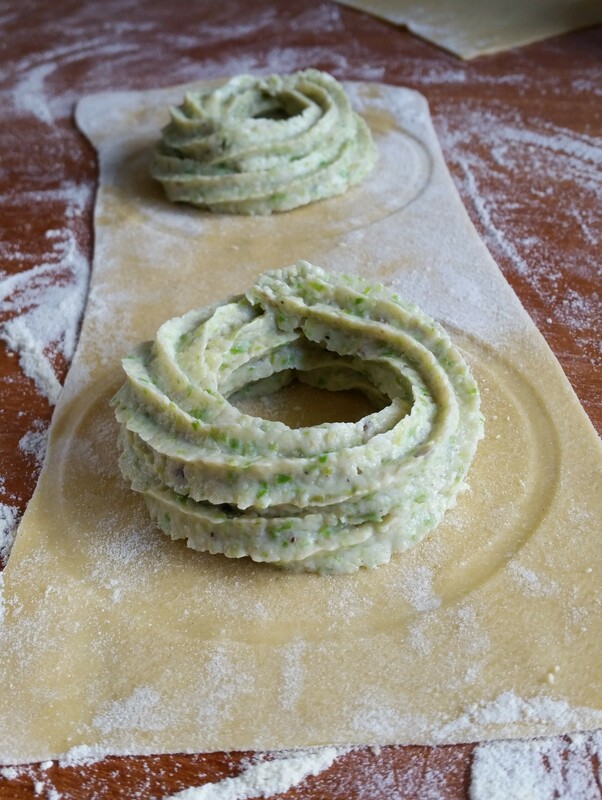 Use a cutter to mark the circles for the ravioli. Leave a 2 cm space between each circle. 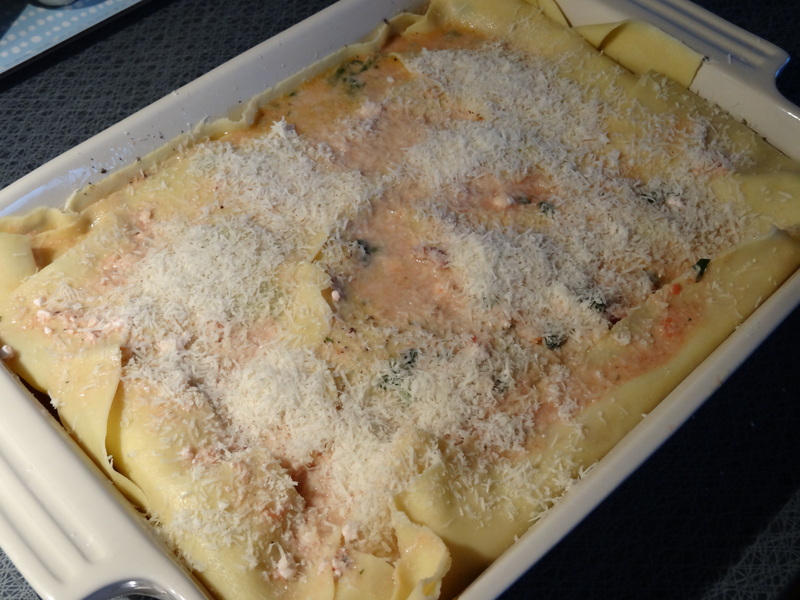 Make sure you flour the surface underneath the ravioli, otherwise your ravioli will stick to the surface and break. 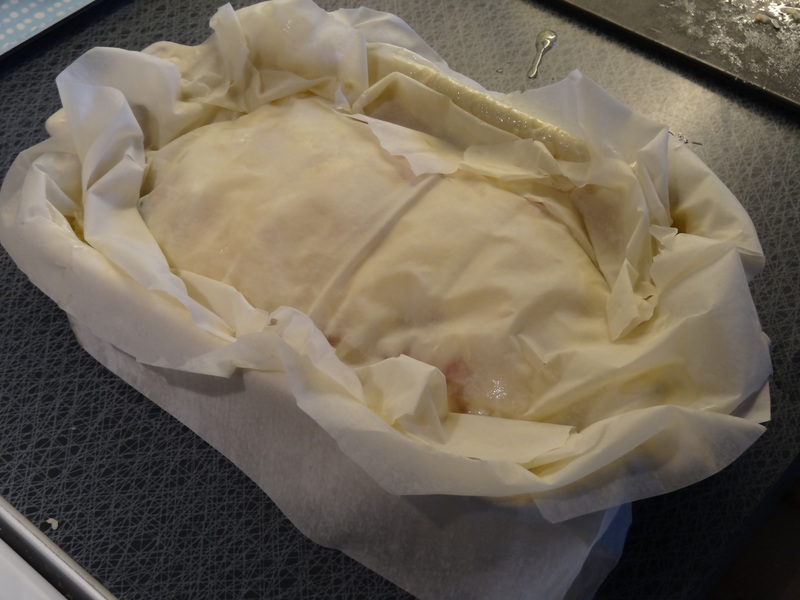 Take the filling out of the fridge and put it in a piping bag. Pipe a circle of filling on the circles of ravioli, about 1 cm from the edge of the circle. Make sure to leave a hole in the middle for your egg yolk. Pipe another layer of filling on top of the first circles of filling, to form a tower. Crack one egg and carefully remove the egg white. Place the egg yolk inside the circle of filling, repeat for all circles. 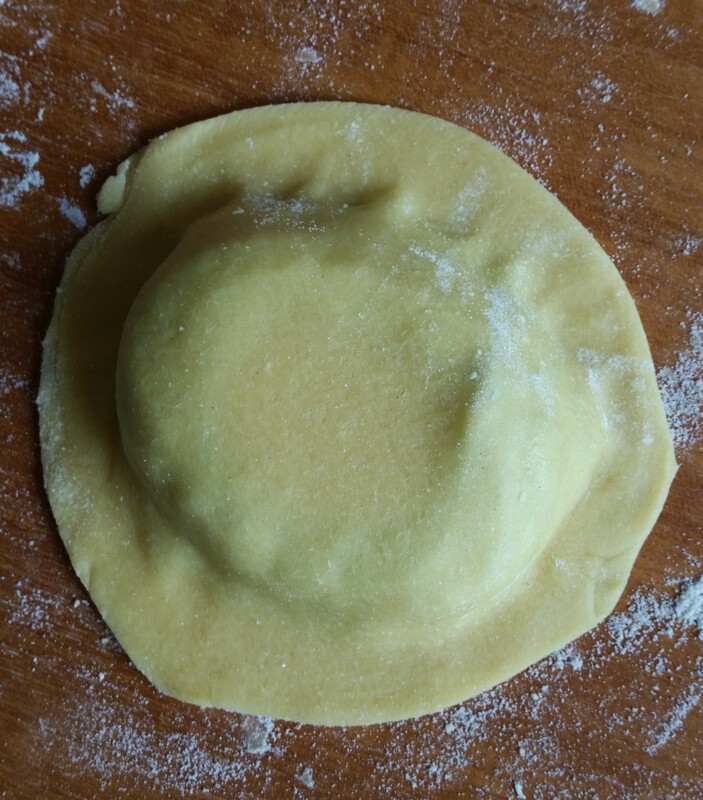 Place another sheet of pasta on top of the filling and press the pasta dough around the circles of filling. 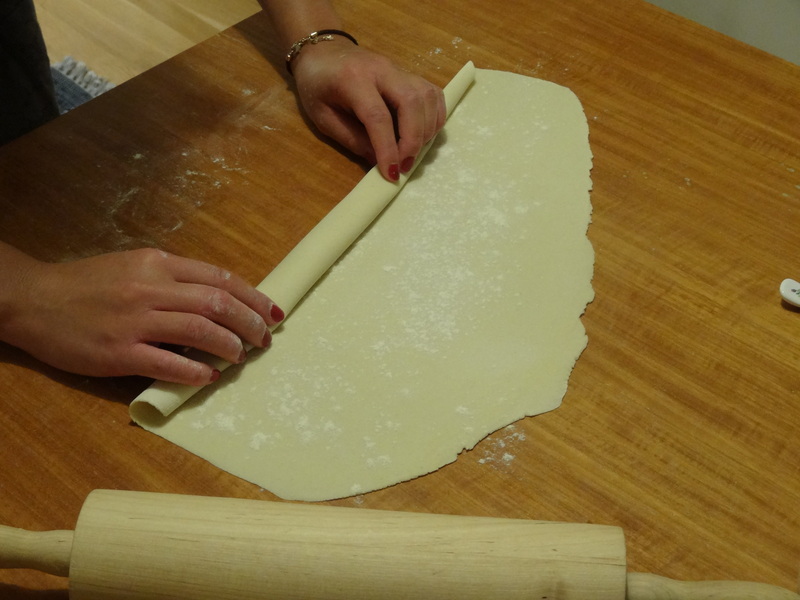 Use a knife or a cutter to cut out the individual pieces of ravioli. Make sure there are no air pockets in the ravioli, which might cause it to break when you cook them. 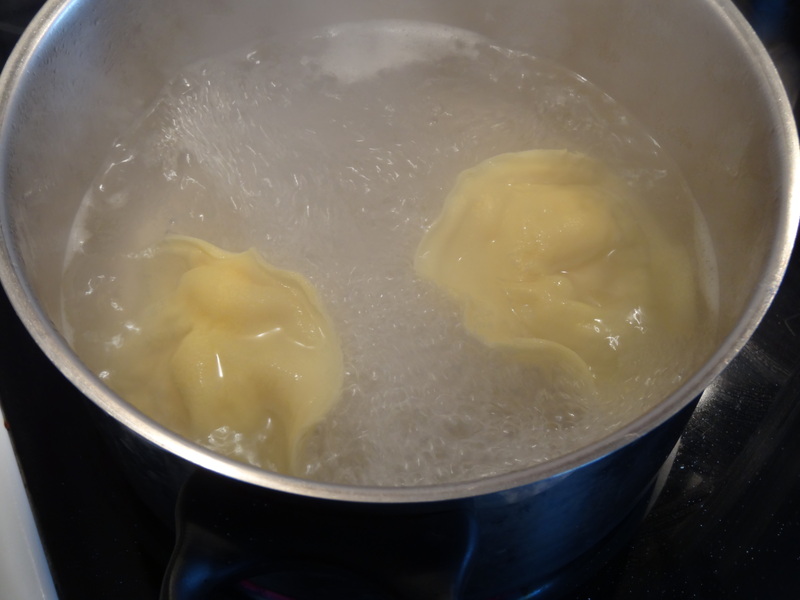 Boil two or three ravioli at a time in a large pot of salted water. When they float to the surface after about 2 mins, leave them for another 1-2 mins to boil. Take the ravioli out of the boiling water with a slotted spoon, the ravioli is too fragile to be drained in a colander. 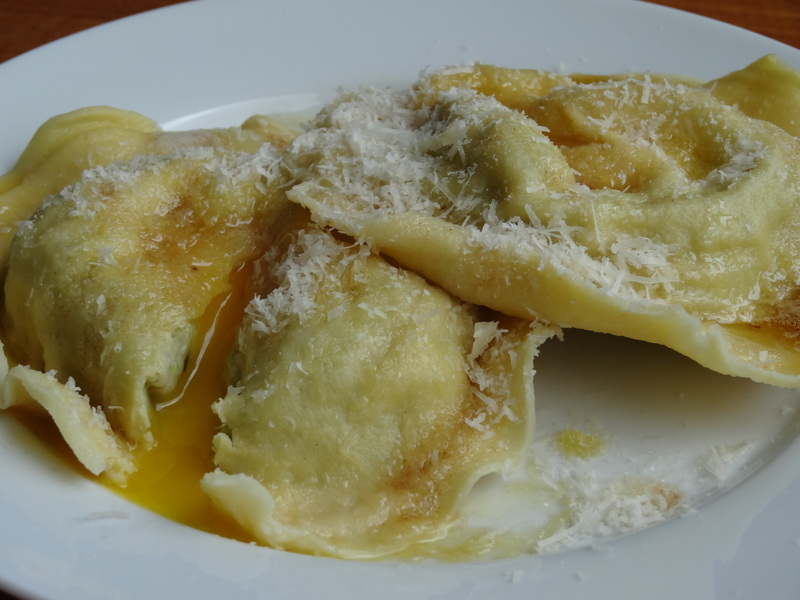 Serve the ravioli with some browned butter and grated parmesan. 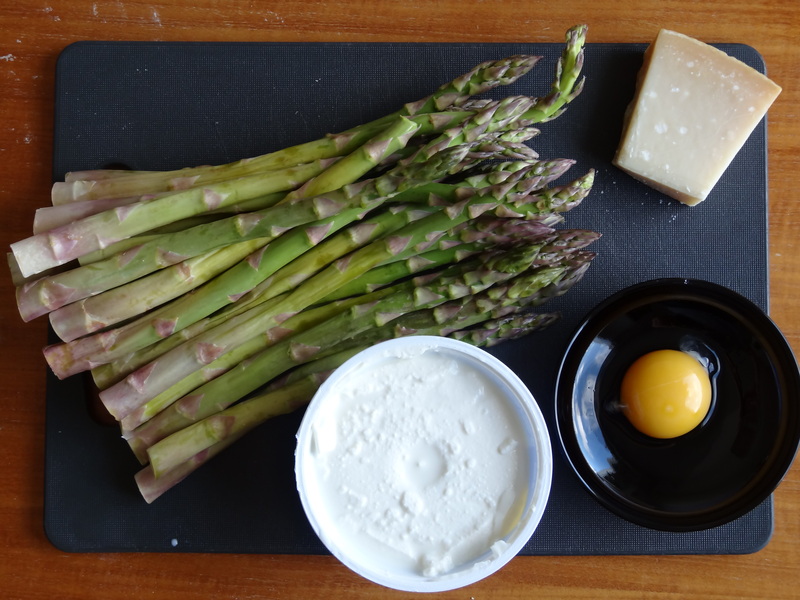 This entry was posted in Dinner and tagged asparagus, cheese, dinner, egg, pasta, ravioli, vegetarian on 2014-09-28 by activebeans. A quick and easy pie full of flavour. 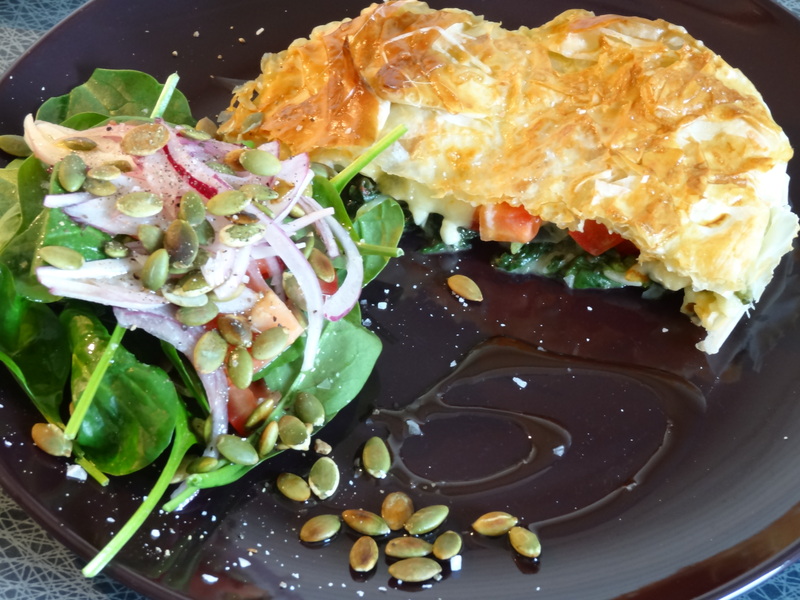 Ready-made pastry makes this meal quick to prepare and cook. Served best with a fresh salad. 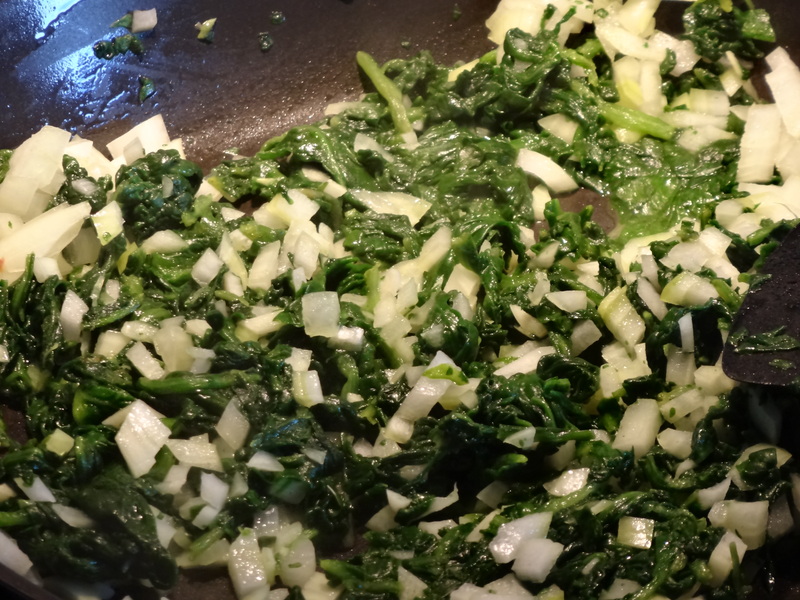 Chop the garlic and onion, and fry on a medium heat with the spinach, until soft. 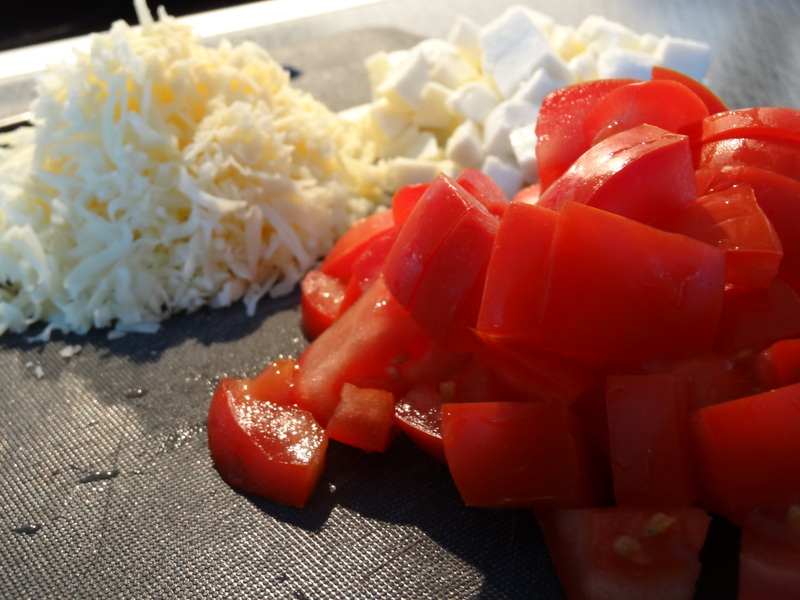 Chop the mozzarella and tomatoes, and grate the hard cheese. 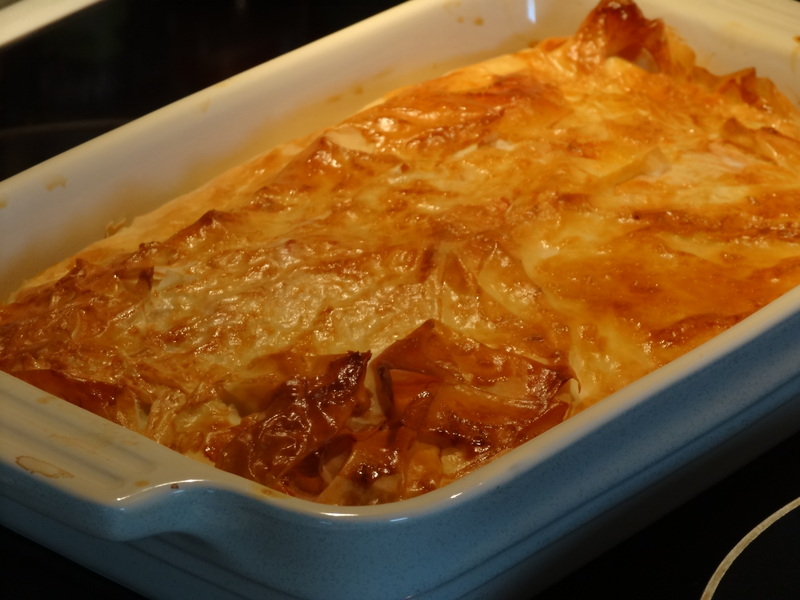 Place two layers of filo pastry in a small oven-proof dish, allowing the pastry to overhang the dish (to be folded on top later). 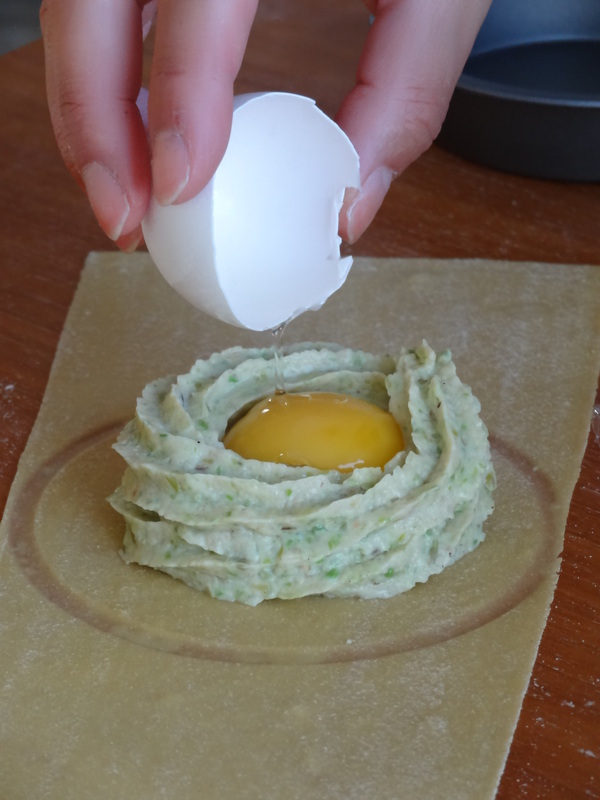 Mix the egg and brush onto the uppermost layer of pastry. 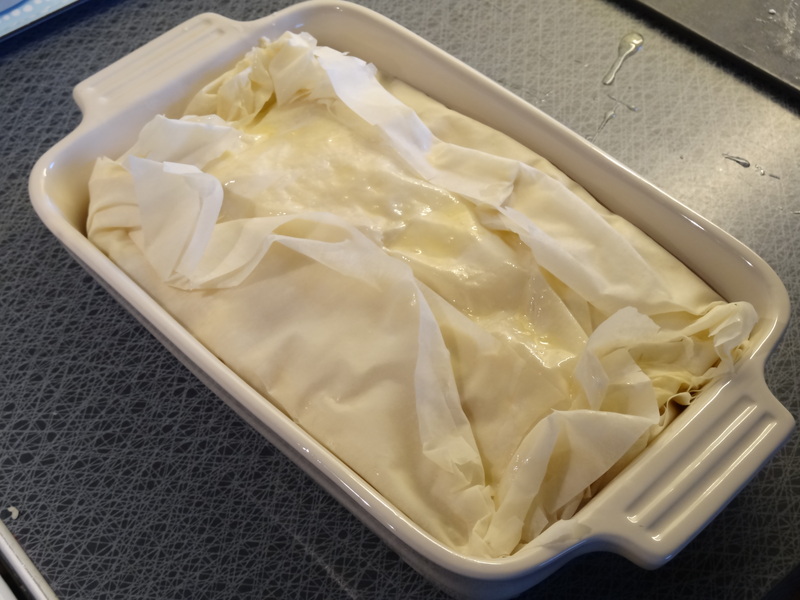 Place two layers of filo pastry on top of the filling, ensuring to tuck it in on the sides. 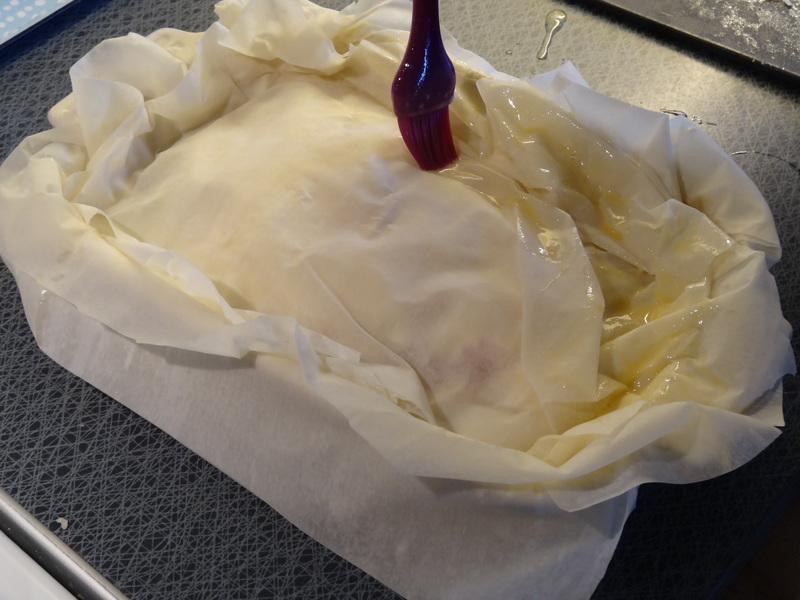 Place one more layer on top and fold in the overhanging pastry. Brush some more egg on top, and place in the oven for 20 minutes or until the pastry is golden brown. 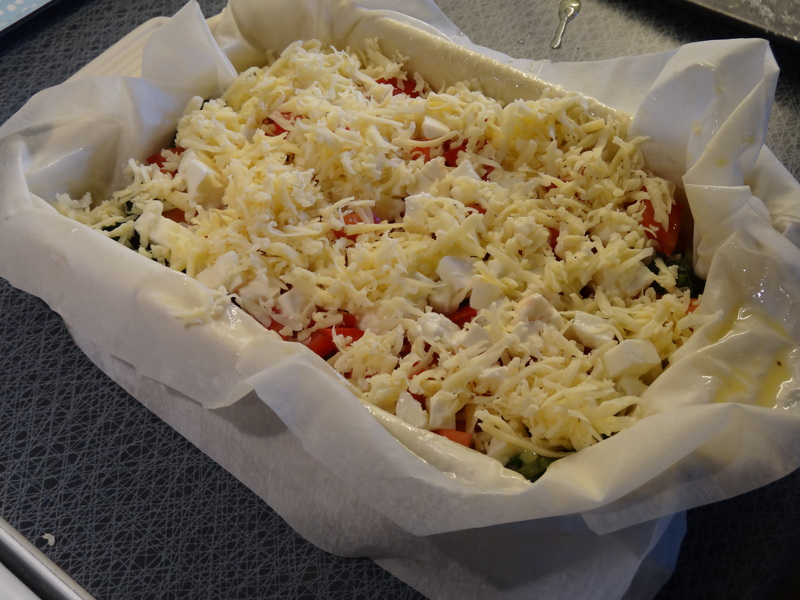 This entry was posted in Dinner and tagged cheese, dinner, pie, spinach, tomato, vegetarian on 2014-09-27 by activebeans. 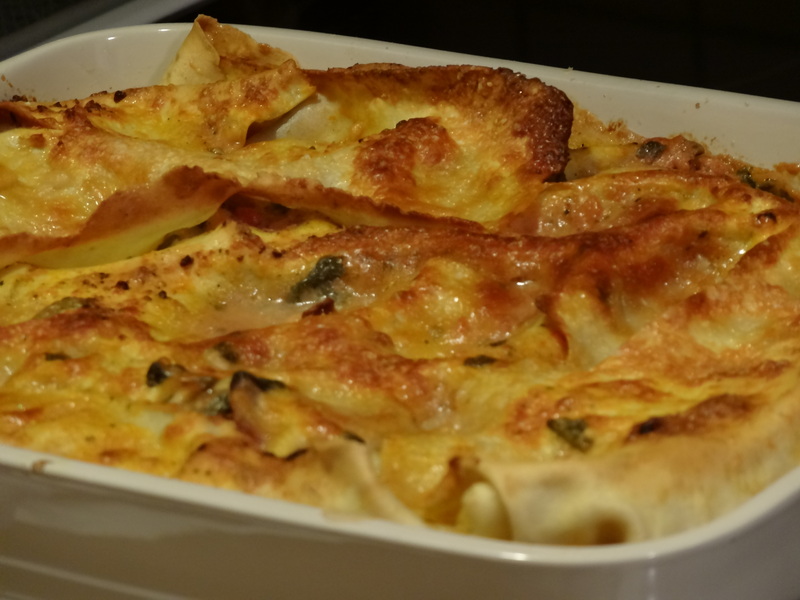 A protein-rich lasagne that is still quite light at the same time. And it is even better the day after. Cut the onions and garlic. Fry the onions and garlic until they are soft. Add the spinach and fry for a few minutes. Add the tinned tomatoes and fry for 5-10 mins. 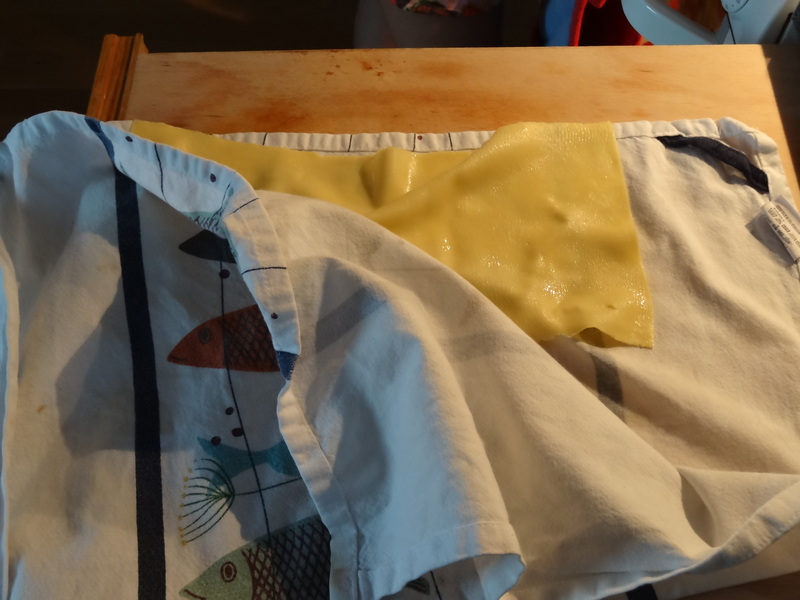 Blanch the pasta sheets and dry each sheet with a tea towel before assembling. Assemble the pasta sheets at the bottom of the dish. Layer more pasta sheets on top of the filling. Add another layer of filling. 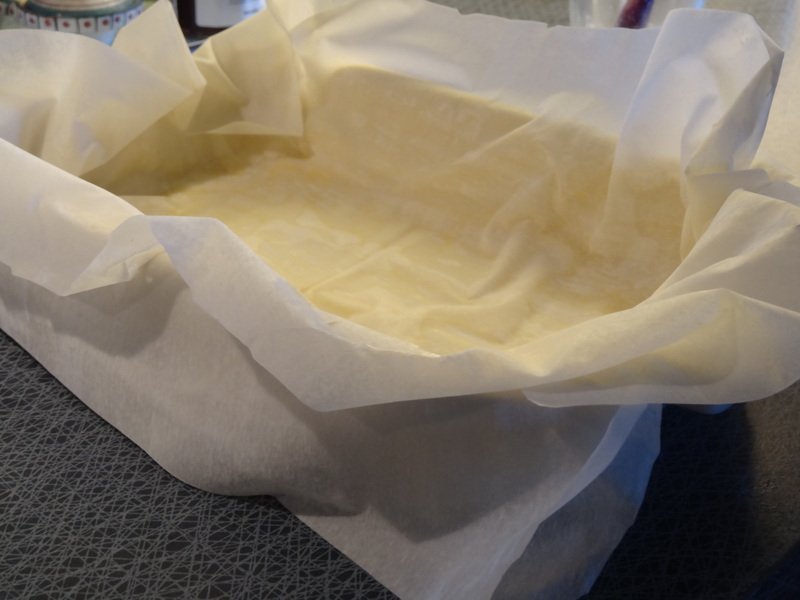 Add a final layer of pasta sheets. 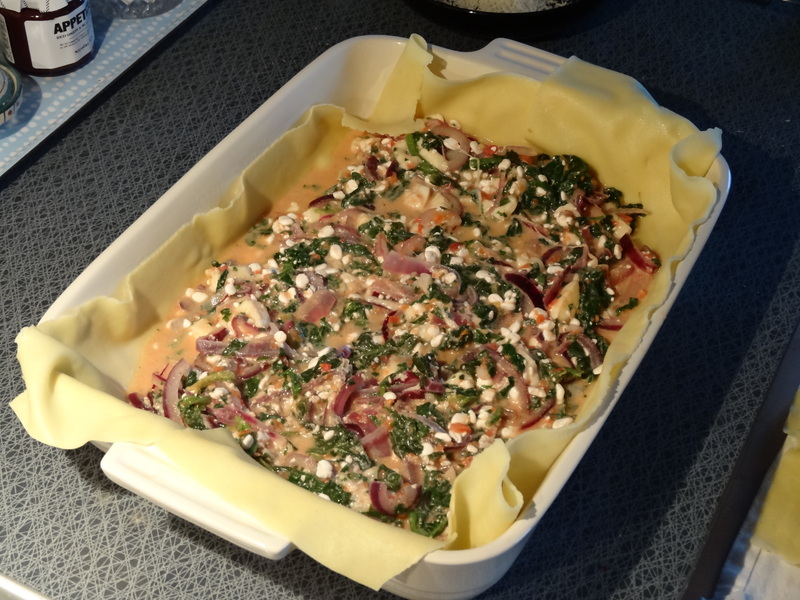 Place the lasagne in the oven and let cook for 25 mins. 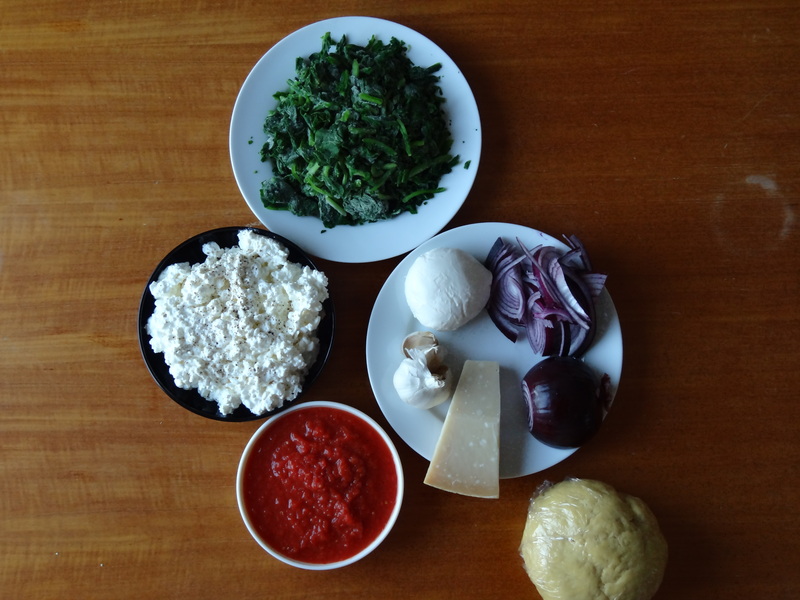 This entry was posted in Dinner and tagged dinner, lasagne, pasta, spinach, vegetarian on 2014-09-23 by activebeans.